Bacardi mixers can be found in your grocer's freezer, usually next to the frozen juice concentrate. With flavors like pina colada, strawberry daiquiri and margarita, the mixers streamline the process of making fruity, frosty mixed drinks so you can whip up a batch and get back to the party. 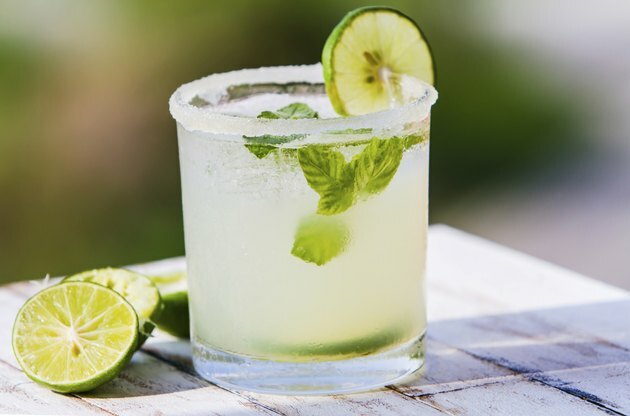 Since margaritas are typically made with tequila, you'll want to have a bottle on hand while mixing the drinks, but you can also make nonalcoholic margaritas with the mixer. Pour the frozen mix into a blender. Fill the mix can halfway with tequila if you're making an alcoholic drink. For a nonalcoholic drink, fill the can halfway with lemon-lime soda. Pour into the blender. Add an entire tray of ice cubes to the blender. If you're using crushed or bagged ice, fill the blender with ice to the top of the container, leaving enough room to be able to snap the lid on. Snap the lid on the blender and blend the mixture until smooth. Distribute among several glasses.